Millions of American men treated with testosterone replacement therapy may be at risk for heart attack or stroke. The Food and Drug Administration (FDA) has demanded that prescription testosterone therapy drugs be labeled correctly with a warning about the increased risk of heart attack or stroke. Many of these testosterone replacement therapy drugs were distributed without a critical warning about the potential increase in the risk of heart attack or stroke (until the FDA mandated it in 2015). For years, men have unknowingly taken these drugs without adequate warning of the possible dangerous side effects. Those most at risk are men sixty years of age and older who have taken prescribed testosterone replacement therapy drugs. A list of the FDA-warned testosterone therapy drugs can be found at the bottom of this page. If you or a loved one has suffered a heart attack or stroke as a side effect of testosterone replacement therapy, you may be entitled to financial compensation. Contact the experienced product liability attorneys at Craig Swapp & Associates today by calling 1-800-404-9000 or tell us your experience by filling out our online form. What Is Testosterone Replacement Therapy, and How Does It Cause Heart Attacks and Strokes? Testosterone replacement therapy is a treatment involving the application of prescribed medications for men who have low testosterone levels. The medication is applied through injections, skin creams, gels, or pills. The medicines replace testosterone levels that often naturally diminish as a man ages. Studies show that testosterone replacement therapy drugs may increase the risk of heart attack and stroke by up to 50 percent in men. These findings were established in 2010, but the FDA did not require a warning to be placed on the medicines until 2015. The testosterone manufacturers are accused of delaying the warnings even though sufficient evidence of the potentially deadly side effects of stroke and heart attack were evident. Many men may have chosen alternatives methods to treat their testosterone deficiency had they been properly warned of the potential side effects. Get the compensation you deserve. Contact the experienced heart attack and stroke attorneys at Craig Swapp & Associates by calling 1-800-404-9000 or by filling out our online form and telling us your story. What Are Victims of Heart Attack and Stroke Caused by Testosterone Replacement Therapy Entitled To? Please don’t delay in taking the first step towards financial peace of mind. 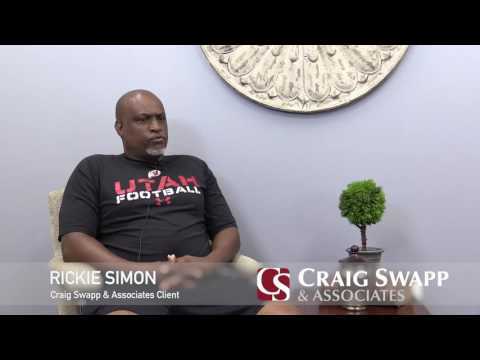 The experienced testosterone replacement therapy lawsuit attorneys at Craig Swapp & Associates will get you the settlement you deserve from the testosterone manufacturers. Give us a call at 1-800-404-9000 or fill out our online form.